Arrive Beijing to have a free day for jet leg, then have 3 days to visit city highlights together with Great Wall, ride the high-speed train to Xi'an for 1.5 days sightseeing cover Terracotta warriors as well as other city highlights, take the evening flight to Chengdu to see the panda, finish the tour in Shanghai by seeing the modern buildings. See world heritage in Beijing and Xi'an, pandas in Chengdu and modern Shanghai. Beijing Section: Nothing at this point, has all run smoothly. Itinerary / Travel Plan - Good coverage. Driver - Smooth ride in some interesting driving conditions. Guide - Very knowledgeable and made it fun. Accommodation - Clean, food was good, recommend Chinese restaurant in hotel. Vehicle's Condition - Clean great. Itinerary / Travel Plan - Plenty to see and do very happy. Guide - Excellent made our holiday special and was great fun. Driver - Very good, felt safe. Accommodation - Guests next door nosiy and smoked. Vehicle's Condition - Clean tidy comfortable. Chengdu Section: Coming in earlier to give time to recover and have dinner. Itinerary / Travel Plan - Flight changed too late and with delayed. Guide - Knowledgeable, helpful and fun. Driver - Drove very well in conditions, smooth. Accommodation - Clean and good condition. Vehicle's Condtion - Very nice and clean. 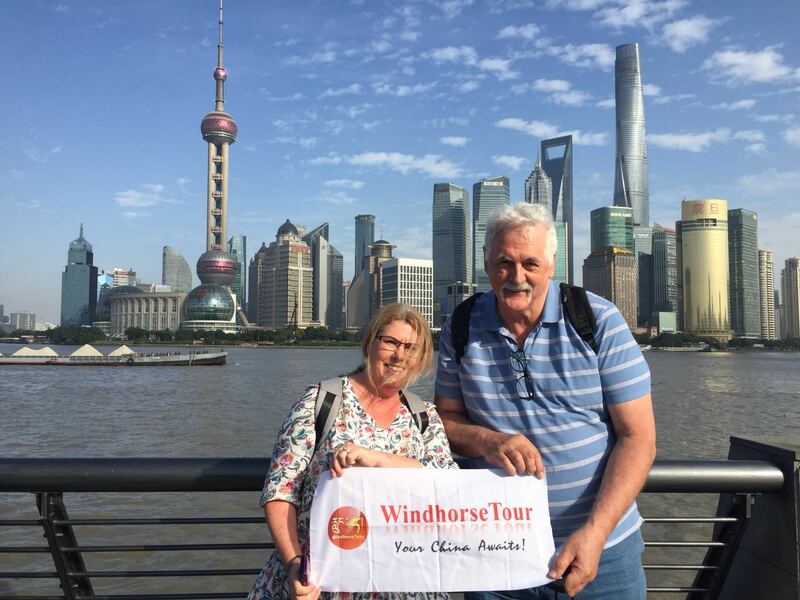 Shanghai Section: The guide who picked us up not up to standard I expect from WindhorseTour - poor English and poor service, so bad I didn't give a tip. Melody restored our faith in your company. Itinerary / Travel Plan - Very good, saw and learnt a lot. Guide - Brilliant, very friendly and knows a lot. Accommodation - Old but comfortable. Vehicle's Condition - Very Good. Beijing: Forbidden City for Bruce and Summer Palace for Julianne. Xi'an: Terracotta Warriors. Chengdu: Pandas. Shanghai: Yu Garden and Lunch.